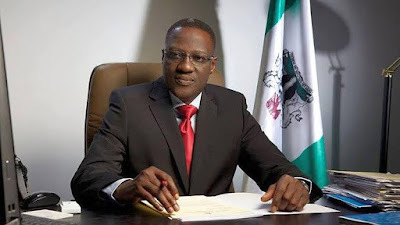 The Executive Governor of Kwara State, Alhaji AbdulFatah Ahmed has approved the appointment of Retired Justice S.M. Belgore as the Chancellor of Kwara State University, Malete, Kwara State.The appointment is in recognition of Justice S.M. Belgore’s achievements, professional acumen and contributions to various spheres of human endeavours. The Commissioner for Tertiary Education, Science and Technology, Barrister Ustaz Abdullahi Alikinla in a statement described the appointment as well deserved and expressed his expectation that the appointee will bring his professional ability, dedication, competence and wealth of experience to bear in the discharge of his responsibilities to the University. In a similar vein, the Kwara State Governor, Alhaji AbdulFatah Ahmed has also approved the appointment of Professor Saka Nuhu as the Pro – Chancellor /Chairman of Council of Kwara State University, Malete, Kwara State. The appointment is based on Professor Nuhu’s track record of achievements in the education sector and other spheres of human endeavours. The Kwara State Commissioner for Education, Science and Technology Barrister Ustaz, Abdullahi Alkinla, in the statement announcing the appointment, described Alhaji Nuhu as a seasoned educationist who has contributed immensely to the growth of the education sector in Nigeria and hoped that such experience will come to bear in the discharge of his responsibility. He also wish the new appointees the best in the discharge of their duties.